I listen to a lot of music—a lot. But when a friend recently said she was attending a concert and I had no idea who the band was, it left me stymied. That never happens. I had to see what this was all about, and it so happens it coincides well with my goal to feature all holiday music albums this month. Kristin Maldonado, Mitchell Grassi and Scott Hoying grew up together and were classmates at a high school in Arlington, Texas. A local radio station was hosting a singing contest and the winner got to meet the cast of hit TV show Glee. They arranged and submitted their version of “Telephone” by Lady Gaga and in spite of not winning, it sparked high interest locally and within themselves. They’d all graduate high school and go their separate ways to college. A couple years later in 2011, Hoying heard about the show The Sing-Off on NBC and was encouraged to audition. He called his old pals and they agreed to join the fun. They added a bassy beatboxer and another beatboxer that played cello. They all met the day before the show auditions and ended up eventually winning the program’s championship. Wanting to capitalize on the momentum, they decided to form a real band and tour. Hoying suggested the name Pentatonix after the pentatonic scale, which is a musical scale with five notes per octave representing the five members of the group. In January of 2012, they signed a deal with a Sony-owned label and began working on a record. They kept relevant during the process by releasing YouTube videos which all went viral. It took a couple years, but they released a couple albums and saw minimal success. Then in their third drop of 2014, That’s Christmas To Me hit stores in October. It skyrocketed on the charts, getting all the way up to #2 on the Billboard 200. Holiday music typically never gets its due. It’s kind of seen as a niche sub-genre and subsequently not treated as real music—but the market for Christmas music especially, is enormous. To date, the album has sold over two million copies in the states. It ended up being the highest-charting holiday album by a group since 1962. The album also saw solid success in Canada and Australia, adding to the overall audience and scope of the band. Critically, the record was viewed as a hit. 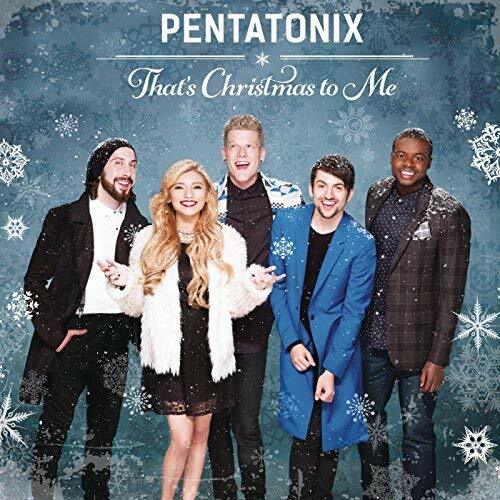 Citing a lengthy list of stale Christmas records to have been recently released, Pentatonix was a refreshing update of beautifully sung and creative arrangements. Not being familiar with the band at all, I’m pleasantly surprised by the arrangements here. I learned they’ve won three Grammy Awards already in their short tenure as a band—very impressive. They have toured the world and opened for monster acts like Kelly Clarkson. They seem to have a very bright future and it’s inspired me to look into some of their non-holiday stuff as well. Vocally, this is one of the better acts I’ve heard in a while; hopefully I can introduce a few of you to their style. 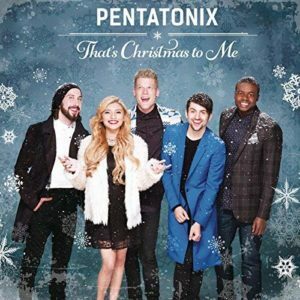 Christmas music can sometimes help put you in the holiday spirit. It’s tough after a long day at work to go home and get excited about decorating and gift-wrapping. Listening to something like this today might take the chip off your shoulder and put the spirit of Kris Kringle back in you. Not sure if you’ll do the dance of the sugar plum fairy or not, but at $7 bucks, you definitely don’t want to let it go.